HKCA is dedicated to enhancing the cycling development of Hong Kong. We devote to training athletes in order to uplift their performance in international competitions and to increase the chance of winning. In addition, we discover, nurture and train the youth aged below 18 through the Youth Cycling Development Program for the purpose of nurturing successors for outstanding Hong Kong cycling team. Promote cycling to be one of sports which is popular among teenagers and good for health. Enhance the local cycling athletes’ performance and levels in competitions through providing all-round training and race chances. 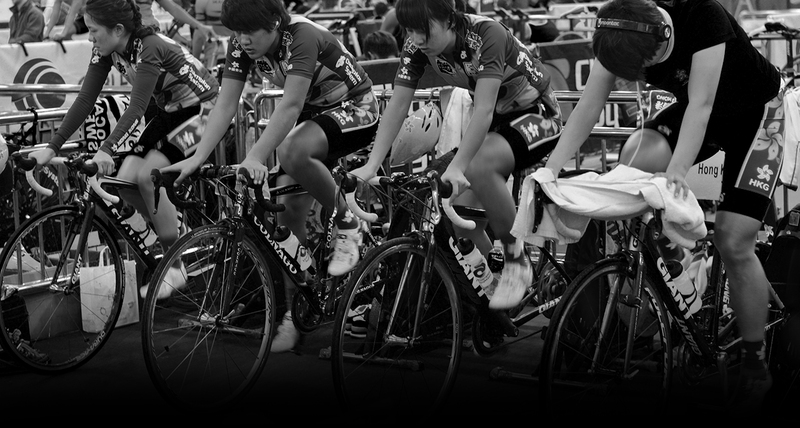 Establish a systematic screening and training program in order to discover athletes with potential in cycling. HKCA assists in discovering athletes with potential in cycling and providing them training via various channels, including School Promotion Promotion, Cycling (designated event) training class, Cycling Training Program for Youth and Future Star program. The aim is to constantly contribute athletes with cycling potential from the Youth Development Program to the Hong Kong team so as to increase the chance of winning in the large-scale sports competitions. After various training programs, athletes with outstanding performance will be selected to join the youth cycling team and participate in the whole-year cycling skill training. They will also take part in local and overseas competitions, for instance, National Youth Cycling Championships, Asian Junior Championships, etc. The first mountain bike competitions were held in California (USA) in the early eighties. Since then the discipline has grown very fast, in all aspects. The first World Championships to be officially recognized by the UCI dates back to 1990. A World Cup was set up the following year. Cross-country races are held over undulating circuits (with technical descents, forest roads, rocky paths and obstacles) of 5 to 9 km. The race varies from 1 h 45 minutes to 2 h 30 minutes depending on the category. The marathon event is a long version of cross-country held over a course of 60 to 120 km. A special feature is that riders from all categories, from enthusiasts to professionals, race together. The marathon event is held in a mountainous region. In contrast to the Olympic cross-country format, the riders never pass the same point twice. Downhill (also referred to as DHI) is a race against the clock in which the rider negotiates a succession of fast and technical passages. The participant must demonstrate courage as well as sharp technical and piloting skills in order to affront tree roots, banked sections, bumps, jumps and other natural obstacles along the way. Speeds reach around 80km/h in the men’s races and 70km/h for women. In four-cross (often abbreviated to “4-cross” or “4X”), four participants set off together to ride down a track that alternates banked corners and jumps. The races are very rapid (between 30 seconds and one minute) and give rise to fierce and closely contested confrontations between the riders. The winner is the first to cross the finish line. The four-cross races take place over several qualifying rounds.